Gain valuable insight into changes in customer value perception of lending products and review some best-in-class customer journeys in lending. PriceWise for Community Banks: Level the playing field! The information advantage given by PriceWise™ helps you succeed in managing your deposit and lending products. With the first quarter coming to a close, what are the notable fund flows insights to keep an eye on? Cameron Brandt, Director of Fund Flows Research, discusses economic drivers and where investor sentiment drove flows in Q1 of 2018 as well as what to expect in Q2. What’s different this time around? It’s finally happening, the rising rate environment has started. Things are different this time around. Mobile banking has taken hold and consumer banking behavior is dramatically different. Informa Research Services can help you prepare for a new competitive environment and help you understand new consumer behaviors. 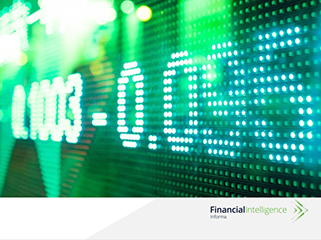 Join Kevin Coyne of Informa Research Services on an in-depth tour of PriceWise™. Find out how PriceWise’s smart business tools help our clients succeed in managing deposit and lending products. PriceWise helps you make better business decisions with limited time, tools, and resources. Join Michael Stinson of Informa Research Services and BankTrends on a 10-minute tour of the BankTrends CECL Calculator. Find out why your CECL solution doesn’t have to be complicated. Join Michael Stinson of Informa Research Services and BankTrends on a brief overview of the BankTrends CECL Calculator. Find out why your CECL solution doesn’t have to be complicated. Membership Advantage - PriceWise: Level the playing field! The information membership advantage given by PriceWise™ helps you succeed in managing your deposit and lending products.